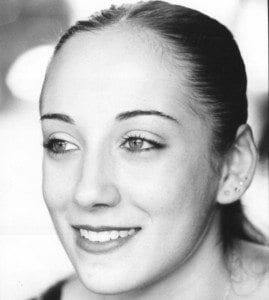 JULIE FRIEDRICH, Associate Director for College and Career Programs at Francisco Gella Dance Works – Julie Friedrich’s distinguished career as a professional dancer, mentor, and dance educator in the areas of ballet and contemporary dance spans more than 18 years since she joined her first professional company at the age of 17. Julie received her primary dance education from the Los Angeles County High School for the Arts and Meredith Baylis of the Joffrey Ballet School. Upon graduation, Julie joined the American Repertory Ballet under the direction of Septime Webre, and then went onto join Les Grands Ballets Canadiens in Montreal under the direction of Lawrence Rhodes. Discovering her passion for contemporary dance during her time with Les Grands Ballets Canadiens, she made the move to Europe where she danced professionally for the following five years. She has danced works by George Balanchine, Anthony Tudor, Ohad Naharin, Septime Webre, Nacho Duato, Guy Weizman, Alex Ketley, and various other European choreographers. Upon returning to the Unites States Julie joined the acclaimed contemporary dance company BodyTraffic as one of its founding members. Currently Julie teaches, choreographs and mentors students across the country. She teaches full time at the Windward School in Culver City under the direction of Alesia Young, and tours the country with Francisco Gella as part of his artistic team as one of his principle faculty mentors. In 2017 Julie became the associate artistic director of the Pre Professional Dance Institute in Santa Fe, New Mexico under the direction of Francisco Gella. Julie has been on faculty at the ARIA intensive as part of Dancerpalooza for the last three years. Most recently Julie has signed on to become one of the main contributors to Dance 360 under the umbrella of Francisco Gella Dance Works. Previously, Julie taught for over a decade at both the Orange County High School for the Arts and the Los Angeles County High School for the Arts. During her time at both schools, along with teaching ballet and contemporary, she was the lead senior seminar advisor to all of the graduating dance students going onto the professional and collegiate world of dance. Through her guidance, Julie has numerous Young Arts winners and her students have gone on to study at the Juilliard School, USC/Kaufman, SUNY Purchase, Tisch at NYU, and the Boston Conservatory just to name a few. Professionally, she has former students working in such companies as ATE9, Kyle Abraham, Aspen Santa Fe Ballet, Cirque Du Soleil, and on Broadway. In 2012 Julie was featured in the documentary film “ Fame High” for her mentorship of Grace Song, the first Korean American female to be admitted in dance to the Juilliard School.